Yvonne Bakkum has been the Managing Director and Chair to the Management Board of FMO Investment Management since October 2012. With the team, she is responsible for FMO’s institutional fund management business. 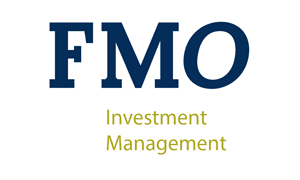 FMO Investment Management is developing and marketing sustainable emerging markets propositions, matching FMO’s expertise with investors’ appetite in selected sectors, products and regions. Prior to this, she was Director Private Equity at FMO for more than 5 years. FMO’s private equity team manages a portfolio of both direct and fund investments totaling more than EUR 1.2 billion in committed capital. The portfolio has grown significantly during recent years, notably in Africa. FMO’s focus sectors are financial sector, renewable energy, and agribusiness, food & water. In private equity, FMO also supports funds with a more generic approach and pursues co-investments in diverse sectors. Upon joining FMO in 2001, Yvonne worked for 4 years as Senior Investment Officer and Manager Business Development Latin America, where she was responsible for acquisition, structuring and monitoring of structured finance transactions in the Andean and Mercosur countries. In 2005, she became Manager Credit Analysis and Deputy Chairman of FMO’s Investment Committee. As Investor Relations Support Officer, Martine is responsible for the marketing and communications aspects, focusing on market research and external and internal communications. In her previous position at FMO Martine worked for 6 years at the Marketing & Communications department where she was responsible for, among other things, annual reporting, maintaining the FMO website and internal communications. Martine first joined FMO in 2001 and has held several positions throughout the organization.